"Folk What's On" (simply a leaflet made up of the ads from FW. Us’d luv to zee ‘ee! → MORCHARD BISHOP: The London Inn, Morchard Bishop, Devon, EX17 6NW. ⊕ Must book in advance (usually sells out). → TEIGNMOUTH, Devon. Venues see below. Teignmouth Folk Festival Office, c/o Maleth, 11 Cleveland Road, Torquay, Devon, TQ2 5BD. Booking form and details will be on website. → SOUTH ZEAL, near Okehampton, Devon. In the foothills of Dartmoor. ⊕ Music, song and dance. Top local and national artists (see website) will headline, and various morris and dance teams. 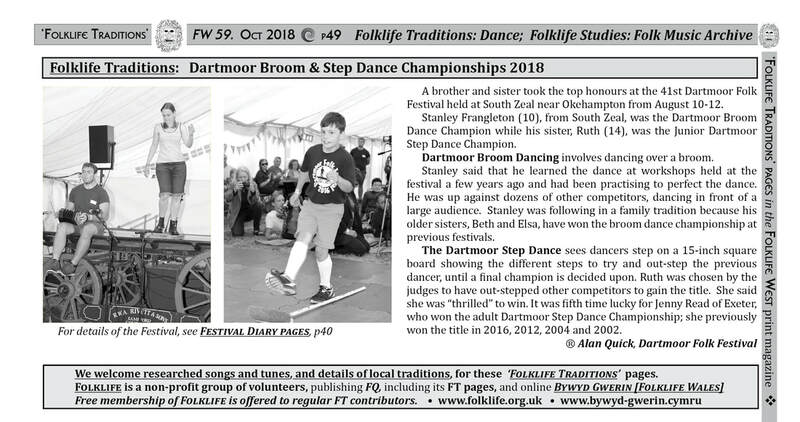 The annual family-festival includes concerts, a ramble on Dartmoor, a ceilidh, craft displays, dances, a Children’s Festival, a Dartmoor Fayre, music hall, pub sessions and music, song and dance workshops. Founded by the late Bob Cann of South Zeal, who dreamt of a folk event on his doorstep that would help to revive and preserve the traditions of Dartmoor. Traditional music, dance, song and crafts of the area formed the basis for the first festival and they still remain today. It has grown so that it can invite some of the best folk artists around, whilst maintaining its reputation for being a relaxed, friendly and traditional festival. → OKEHAMPTON, Devon. Held in comfortable indoor venues in the old market town of Okehampton, nestling on the northern slopes of Dartmoor. 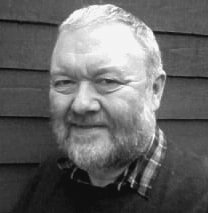 ⌂ WREN MUSIC 01837 53754 Ebenezer Hall, North Street, Okehampton, EX20 1AR. ⊕ The Folk Weekend is held in a range of comfortable venues, all in the centre of the old market town of Okehampton, Devon, nestling under the northern slopes of Dartmoor. Artists: tba, will also include the full Wren team. There will be delicious home-cooked food available, and even more music and song, and Sunday features the annual Prize Conker Competition. 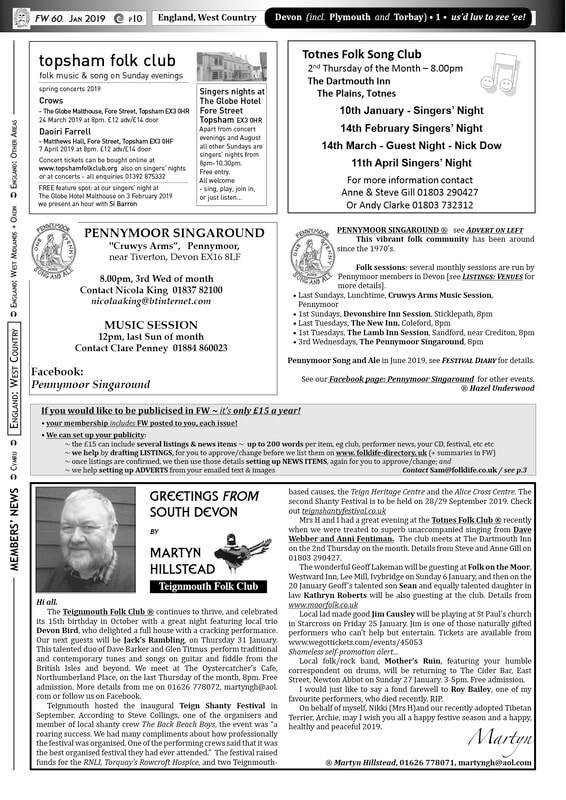 Devon WREN MUSIC groups: see List 5, WORKSHOPS.